Today, DanMedical Ltd, the leading telemedicine solutions provider announces its latest 2015 specification for both its D-MAS Remote and D-MAS HyperSat Medical Monitoring Systems, for use in Remote locations and Saturation Diving or Hyperbaric chambers. Both devices come with D-MAS medical software suite 2015 pre-installed and now include Pulse CO-Oximetry using the Masimo SET finger clip sensor for SPO2 (Saturated Oxygen) as standard amongst many other features. The D-MAS HyperSat device was developed and tested specifically for use in Saturation Diving and Hyperbaric treatment chambers. The 2015 specification includes all medical monitoring functions needed to enable Diving clients to comply with the requirements of OGP-411, so in addition to the patient measurements of the D-MAS Remote it includes additional functions such as Core Temperature measurement. There are a wide range of optional medical functions available such as Spirometry and Audiometry; and patient record and communications options to suit our clients’ patient record and communications systems. 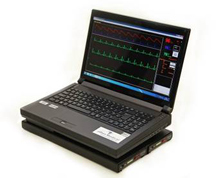 Headquartered in Kingham, Oxfordshire, UK; DanMedical telemedicine products and services are based upon the D-MAS platform – clinical diagnostic and monitoring devices which include Resting ECG, Extended ECG, Pulse CO-Oximetry, Blood Pressure, Core Temperature, Spirometry and Digital Imaging Scopes, with video conferencing capability and electronic patient records all completely housed within a medical grade portable laptop. Vital patient information can be communicated in real-time to any on-line location allowing medical support in some of the most remote locations including offshore and saturation diving chambers with full DanMedical technical support. Currently units are in use offshore on vessels and rigs across the Northern Seas and in South-East Asia; and in remote locations such as NHS Shetland and NHS Orkney.